On his seventh birthday, Adam Olszewski tries to leave his family house but can’t. To residents of the small, working class Connecticut neighborhood where the Olszewski’s reside, only son Adam is a mystery, the subject of rumors and gossip among the neighborhood children. Adam Olszewski will not leave his bedroom, let alone his house. The boy comes to believe that the house he lives in with his parents is alive. More than that, he believes that he and the house are the same living entity, and that to even leave will result in immediate and painful death. 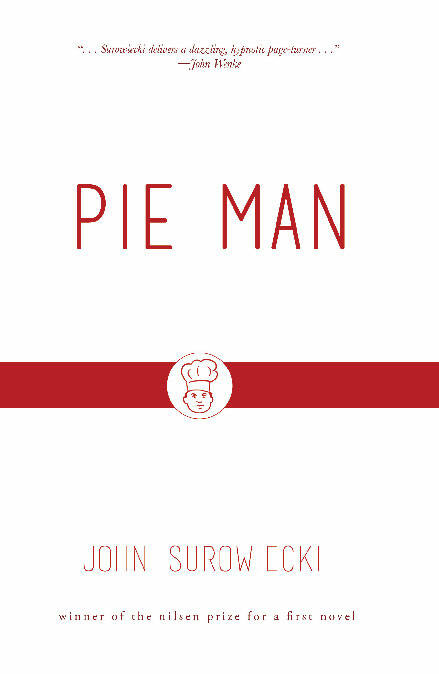 Told through a series of reminiscences by the family, friends, and teachers who orbited Adam’s reclusive life, Pie Man explores Adam’s education and coming of age as an island adrift, surrounded by the working class, industrial neighborhood in which his family lived. Eventually Adam’s world begins to expand through his mother’s pie-making business and as he observes the world outside his window.